Cooking with Amy: A Food Blog: Speciality Food Holiday Gifts 2015 & Giveaway! Speciality Food Holiday Gifts 2015 & Giveaway! Over the past year I've gotten to try a lot of speciality foods. Here are some of my absolute favorite sweet and savory treats. This year I fell in love with the products from Tonewood Maple. They make maple products in many different forms, but also highlight different styles and flavors of maple. If you think as I did, “maple is maple” there’s a reason for that. In many places, such as a certain well-known province of Canada, all the maple products are processed together. So you don’t get different flavors from different estates, just different grades. 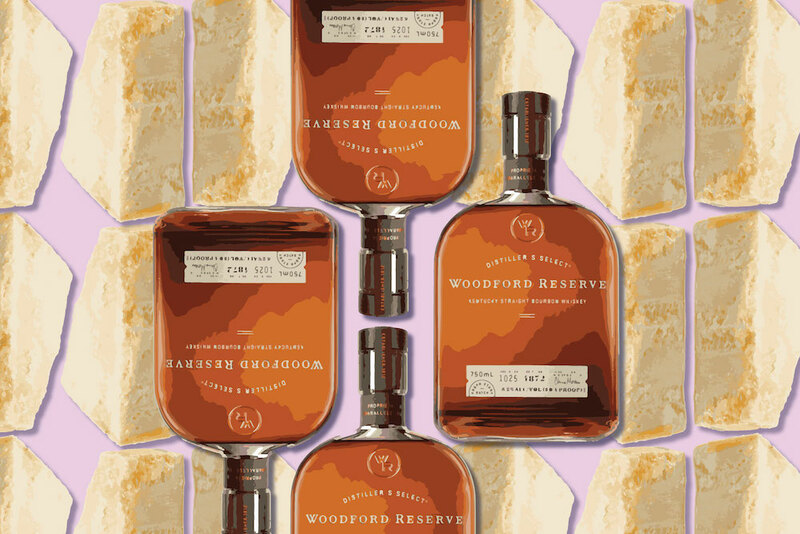 Tonewood offers single estate maple syrups in their grade collection in golden delicate, amber rich and dark robust flavor profiles, and each are completely different. These are maple products that reflect place, just like wine! Some are earthy, some are spicy, but they all have a depth of flavor missing from other maple syrups. Honestly this is the best maple syrup I’ve ever tasted. In addition to syrup, they offer maple cream, which has the most divine, melt-in-your-mouth buttery consistency. You’d swear there is butter in the product but it’s just pure maple. The other very cool product they offer is their award winning maple cube. It’s solid and you grate it to get chips or flakes that are lovely on a cheese plate but also can be a great topping for ice cream, salads, cereal or more. 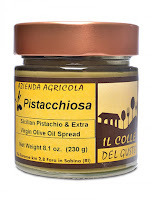 Another award-winning product that knocked my socks off this year at the Fancy Food Show was Pistacchiosa, a Sicilian pistachio spread with extra virgin olive oil. This unbelievably creamy smooth and lucious spread is intensely flavored with the best pistachios in the world. While you could just smear it on toast, because it’s not very sweet, you can use it in recipes as well. Try it in ice cream or gelato, add it to whipped cream or pastry cream to make a cake or eclair filling or slather it on fresh ricotta or goat cheese. I have to admit to being more in the savory than sweet camp. And I love Dijon style mustard! In Paris just past the famous Ladurée tea shop, famous for French macarons, you will find at the Place de la Madeleine the wonderful food shop Fauchon and the Maille mustard boutique. Step into the shop and there are so many different flavors of fresh, pungent and scrumptious mustard on tap! 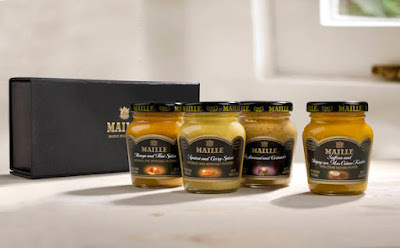 Maille makes outstanding mustard, so much brighter and more intense than what you can get from most other brands. Fortunately their products are available online, especially the more fantastic flavored mustards like the ones in the Exotique collection. It features mango and Thai spices, fig and coriander, apricot and curry and saffron and Isigny creme fraiche. This gift will make any mustard lover swoon! Last but not least I recently attended a party thrown by Touch of Modern, which is a rather masculine site that has flash sales. They have a gourmet category that often has some pretty amazing deals on really great stuff. 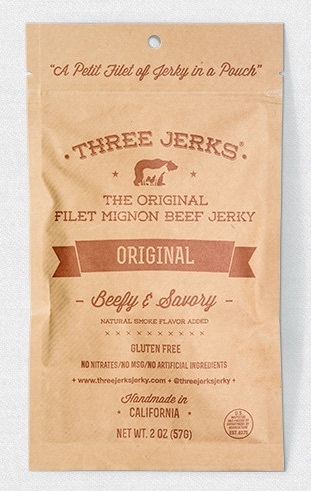 You never know what they will have, but I recently saw the best price I’d ever seen on jamon Iberico de bellota as well as Three Jerks beef jerky made from filet mignon. They also offer some other quirky things like Himalayan salt shot glasses and Stu's Mixology Set for making bloody mary's, which includes powdered key lime and sweet corn to rim your glasses. 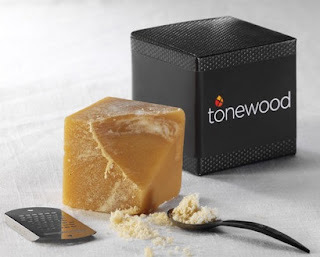 Thanks to Tonewood Maple and Maille mustard I am giving away a maple cube and a set of the Exotique mustards. Please let me know if you prefer savory or sweet treats, which ONE item you are interested in winning. You must have a US mailing address to win. You MUST leave your email address in the field where it is requested, it will not be visible to the public only to me. DO NOT leave your email address in the body of your comment, if you do, I will delete it. Only one entry per person! I will choose the winners at random on December 18th, 2015. Disclaimer: Review samples and giveaway prizes provided by the companies indicated. I was not provided with monetary compensation for this or any other post.